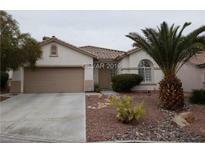 Below you can view all the homes for sale in the Kingsway Ridge At Summerlin subdivision located in Las Vegas Nevada. Listings in Kingsway Ridge At Summerlin are updated daily from data we receive from the Las Vegas multiple listing service. To learn more about any of these homes or to receive custom notifications when a new property is listed for sale in Kingsway Ridge At Summerlin, give us a call at 702-323-5933. Large Great room w/vaulted celling,open floorplan and a stunning backyard with heated pool & spa, great for entertaining.Close aproximity to Downtown Summerlin, park, recreations, LV Ball Park. MLS#2077710. ERA Brokers Consolidated. Tile floor in traffic area, carpet in bedrooms. SID been paid off. MLS#2072440. Go Global Realty. There are truly exceptional furnishings, that the owner is desiring to sell at a discount.If one is looking for a fully furnished home, this would be tremendous. MLS#2061320. Hecker Real Estate & Develop.